Online self-presentation, defined as the way people present themselves through profiles, blogs, photo albums, etc., forms the basis of much of the interpersonal relationship building taking place in social networking platforms such as Windows Live Space. However, little is known about how people make sense of this information, particularly if presenter and audience do not have a common cultural background. 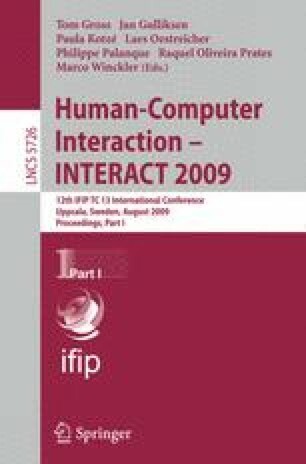 This study investigated the effectiveness of cross-cultural online communication by measuring the cross-cultural social perception of specially constructed online representations of a typical British and a typical Chinese person. The representations were based on a 7-dimensional characterization of cultural differences derived from a review of the literature. The findings suggested that cultural characterization embedded in online communication affects the social perception of others, that it can trigger stereotypes, and that it has consequences for establishing relationships. Implications for the design of social networking platforms are discussed.